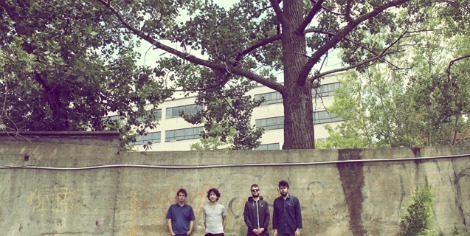 Have you heard the latest from Montreal band Suuns? This track “Edie’s Dream” started floating around the blogs the other day, which I must have skipped on first listen, as I’m only just getting it now. Creeper. Look for this and more on Images Du Futur, out March 2013 on Secretly Canadian. “Up Past The Nursery” by Suuns. 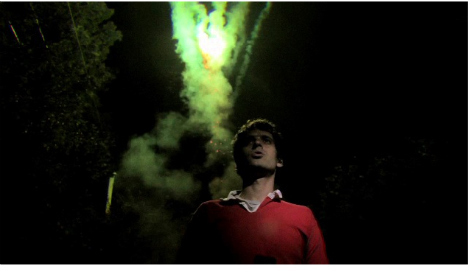 The video was directed by Petros Kolyvas and Suuns‘ own Ben Shemie. The bands’ debut full-length Zeroes QC will be available in stores across North America October 12, but you can get an instant download of the record by pre-ordering the album starting today (SC). Suuns- Up Past The Nursery from Suuns on Vimeo. 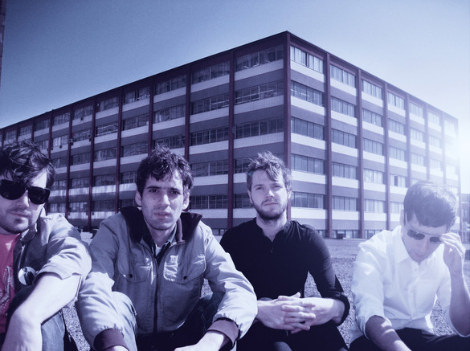 Here’s the 2nd single off Suuns‘ forthcoming debut album Zeroes QC. Enjoy this ‘dark, swaggering chant’ and consider heading to Lees Palace tonight to see them open for Land Of Talk. I’m still eyes high in film fest stuff, back to something closer to normal posting tomorrow.